There are incredible hill-stations in India quite popular such as Manali and its surrounding peaks, Nainital and its lakes, or Ooty and its green landscape, but that’s just the tip of the iceberg. India has scores of hidden treasures. Discover a list of the little known Offbeat Hill Stations in India, from Himachal to Orissa and Arunachal Pradesh to Kerala. 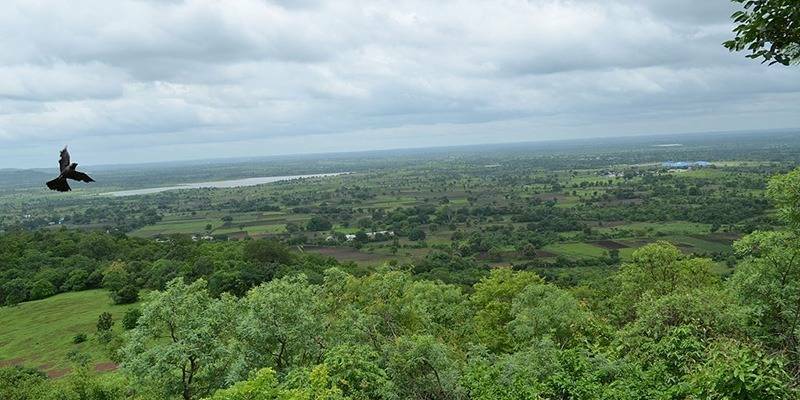 Ananthagiri hillock is situated in the dense forest regions of Telangana. Musi River originates in this hill and flows towards Hyderabad. Ancient caves, remnants of forts and Anandha Padmaswamy Temple must be visited in Ananthagiri hills. Trekkers can have adventurous time in this hillock. The forest region around the Anandha Padmaswamy temple is not that dense and so first time trekkers can make their first trekking experience memorable. Telangana Tourism manages a resort in Ananthagiri Hill and so accommodation won’t be a trouble. Lambasingi Hills or Lammasingi Hills is often referred as “Kashmir of Andhra Pradesh”. This hill station is situated nearby Vishakhapatnam. The village is perched at an altitude of 1000 meters above sea level. This is the only place in Southern India, where you can see the snowfall in winter. Even in seasons other than winter, sunlight falls only after 10 am in the morning. The local people are engaged in the pepper and coffee plantations. The cool wind which blows from the forests and valleys of Chintapalli area makes the Lambasingi Hillock cool and foggy. 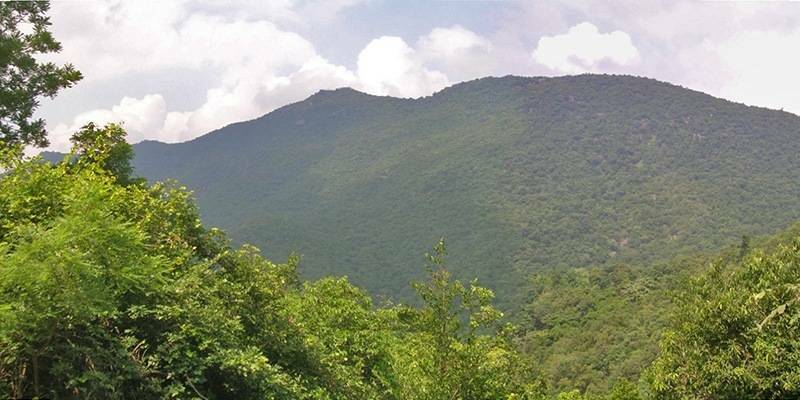 Nallamala Hills is part of Eastern Ghats. 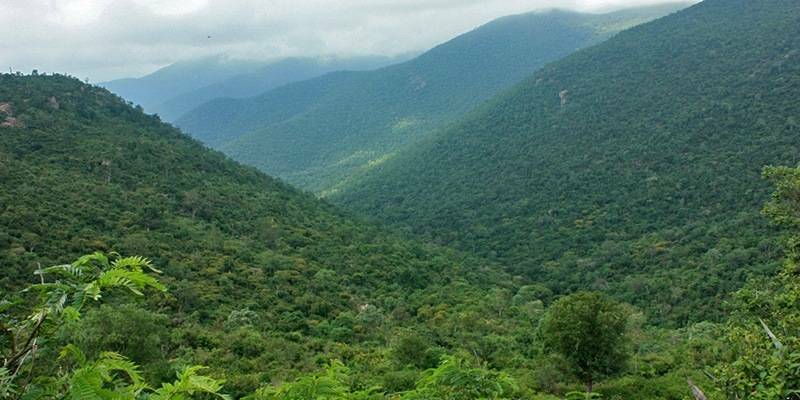 The terrain of Nallamala hills is rocky and dense forests wrap up the region. There are tribal settlements in this hilly region, who are unwilling to compromise for civilized life. The Srisailam Dam is striking attraction of the region. Srisailam Lord Shiva Temple, Ahobilam Navanarasimha Temple and Mahanandi Temple are much sought after pilgrim centers in Nallamala Hills. You should not miss out the sacred pool called Nemaligundam and Mallela Tirtham waterfalls while visiting this region. Sunflowers are cultivated in Cumbum region on large scale and that makes the region most picturesque. The Lake of Cumbum is one of the oldest man-made lakes and it dates back to 15th century. Ziro is located in Arunachal Pradesh State of India and is the district headquarters of Subansiri district is the abode of Apatani tribe. 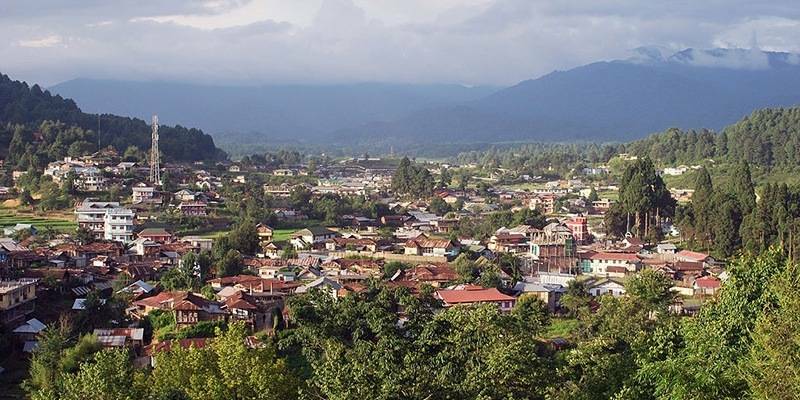 The town of Ziro is among the UNESCO’s world heritage site tentative list. The rice fields across the district give a green –carpet- laid –over- the – town look. Cool and pure breeze makes you relax from your stress. You must visit the Siddeshwara Temple dedicated to Lord Shiva. Here pure water stream flows continuously beneath the Shiv Ling. 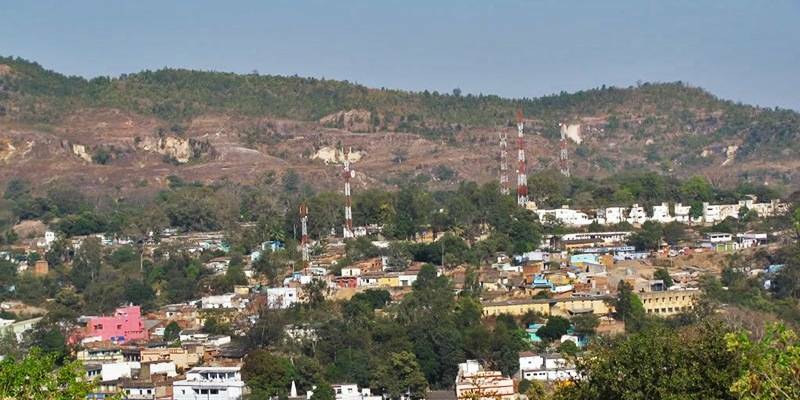 Chirmiri is a scenic hill station situated in the Chhattisgarh State. This green town is well known for its coal mines. There is a Jagannath Temple in Chirmiri which has amazing sculptures in its architecture. The temple is dedicated to Lord Vishnu. Also Amritdhara waterfall is located nearby the Chirmiri hill station. The town is well linked by railways. Mainpat is a tiny hillock in Chhattisgarh state. The hill station is well packed with green valleys, dense forests, gushing streams etc. The hillock remains unexplored and thus providing a serene ambience. En route the Mainpat, the nature’s beauty is scattered all over the place. The small waterfall in Tiger point entices you. The steps winding down will lead you to the bottom of the falls. The fish point is another place you should explore; the thundering sounds of waterfall can be heard from quite a distance. The valleys nearby the fishing point are most astonishing. Male Mahadeshwara Hills or MM Hills are located at an altitude of 3000 feet above sea level. Situated in Southern Karnataka State, the hill is most popular Shaiva Pilgrim Center. The ancient shrine here is dedicated to Lord Shiva. The hillock not only attracts the devotees but also the adventure seekers and natural lovers. Apart from this shrine, there is stretch of dense green vegetation in this hill station. 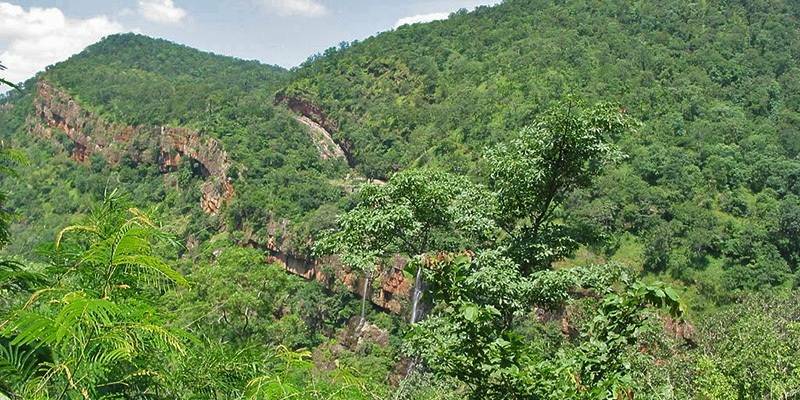 The Male Mahadeshwara hill is a reserved forest area with enormous fauna and avifauna. Elephants are most eminent animal in this forest. Located in Idukki District if Kerala, Ramakkalmedu is a small hilly hamlet. 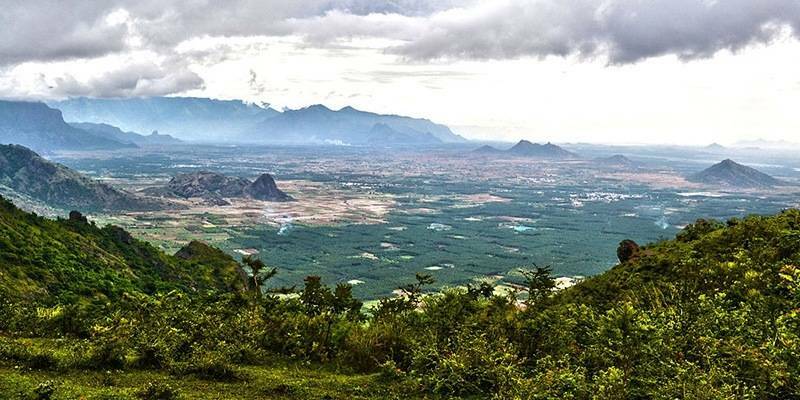 From atop Ramakkalmedu, you get an amazing view of Tamil Nadu villages. The lush meadows resemble a green carpet wrapping up the hillock. At dusk, when viewed from atop, the lighted up towns and villages are a feast for our eyes. 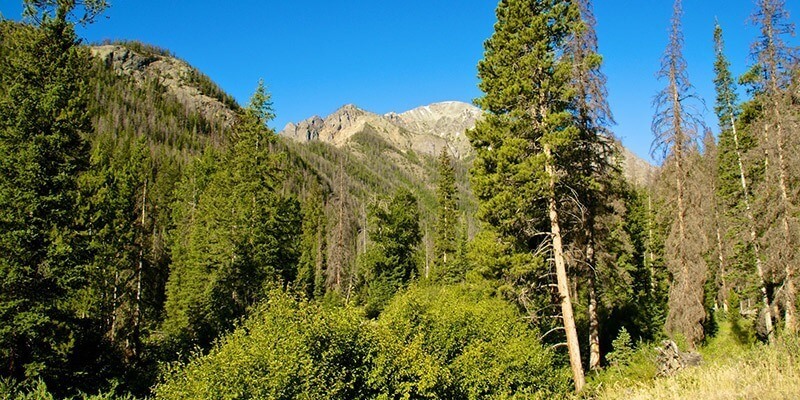 Immaculate air and tranquil ambience relax our soul and body. Amidst of greenery, the hillock also has its own historical importance in the form of Statues of Kuravar and Kurathi Statue. This statue describes the role played by the hillock in Sangam period. 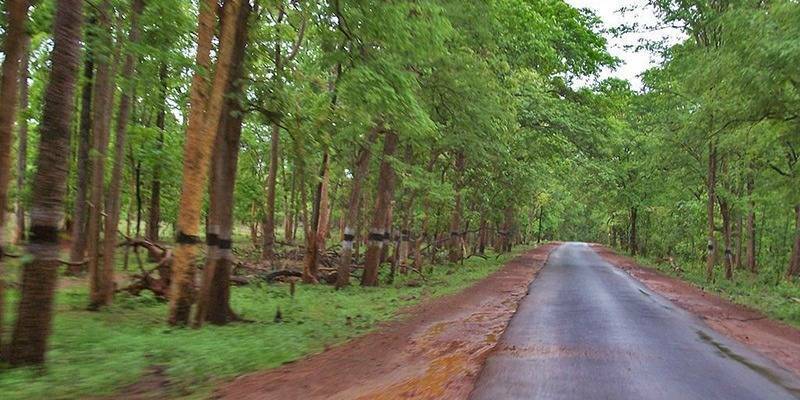 In the Odisha State, Daringbadi hill station is a form of natural teems. Entire hill station which is at an altitude of 915 meters above sea level, is blend of panoramic valleys, coffee estates, pine forests etc. Water gushing down the Doluri river mesmerizes you. The area around the Putudi Water fall is perfect for picnicking. 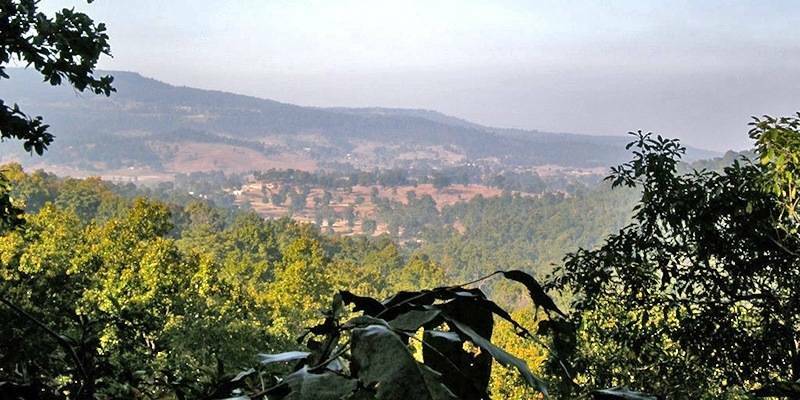 Belghar Sanctuary lies closer to Daringbadi hill station. This place is quick stopover to relax from hustles and bustles. Javadi Hills also termed as Javadu hills is located in the Eastern Ghats in Tamilnadu State. The hillock is less populated and you can come across Malayalee Tribal settlements in Javadi Hills. Tribal plantations include mainly trees which produce a range of fruits like jackfruit, mango, lemon, pomegranate, guava etc. Sandalwood trees can be found in abundance in this hill station. Most suitable for quick weekend getaway. Forest Guest house is available. 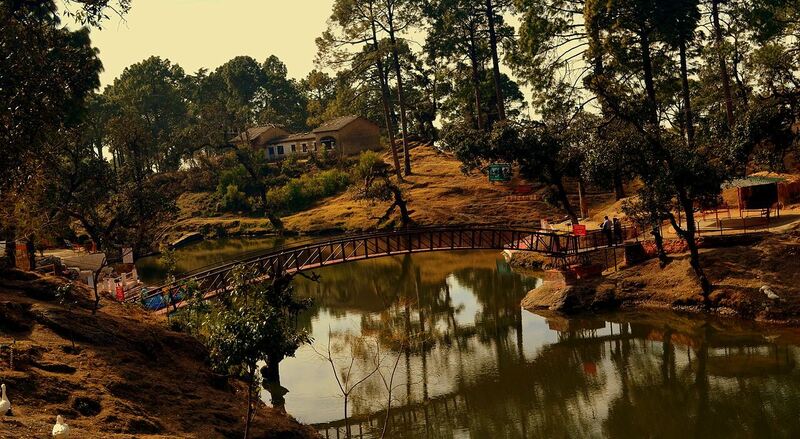 Lansdowne is an offbeat hill station located in Pauri Garhwal district in Uttarakhand. 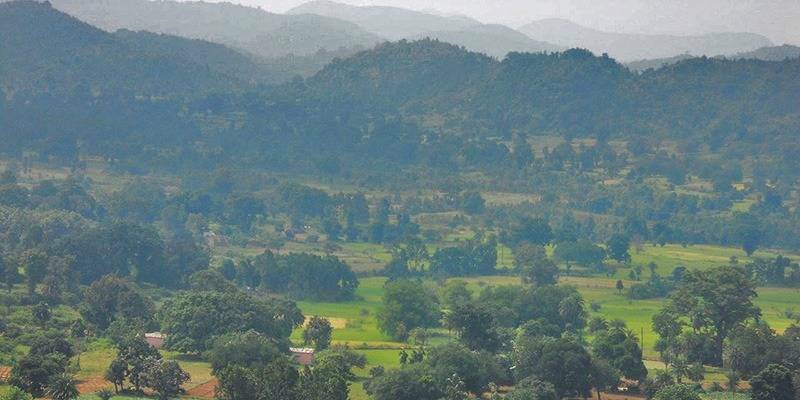 The town is of historical importance as it was a military hub during the colonial era and happened to be the training base for the Garhwal Rifles. So, in case you are the kind who is fascinated by the British Raj, the freedom struggle or into military history then this place is a must visit. However, that is not the only reason you must look into visiting this little cantonment town. It is also known for its breath-taking views and serene atmosphere. Moreover, the town is filled with historical buildings that will truly take you to the colonial era. Some must visit places near Lansdowne include Bhulla Lake, St John’s Church, War Memorial, Darwan Singh Regimental Museum, Tip N Top and Bhim Pakora. Also, in case you have some buddies in the Indian Army, you should definitely have a look at the Garhwali Mess. It is one of the oldest buildings in Lansdowne and you will truly feel like you’ve been transported via a Time Machine. See if you can manage a room at Robert’s. It has one of the oldest rooms in the mess and the décor is also vintage. (There is a lot more to Army friends than cheap canteen alcohol, let’s look beyond that). So, in conclusion, if you’re looking for a quiet hill station with a pretty show-off worthy history, Lansdowne is the place for you. 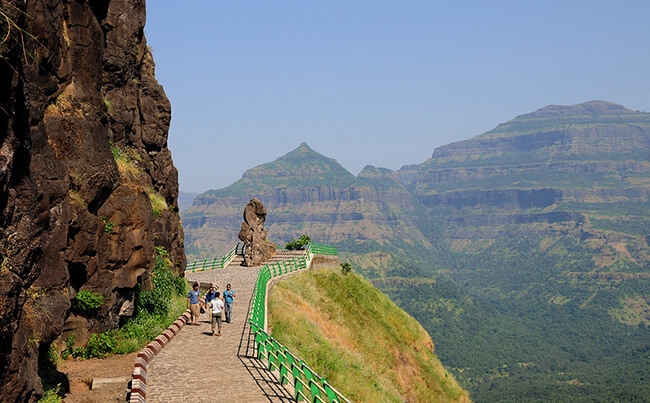 Malshej Ghat is a beautiful hill station in Pune, located near the borders of Thane and Ahmednagar districts. If you are looking for a quiet weekend off in a place that is not too crowded and want to spend your time near the nature, there couldn’t be a better suggestion. This is a perfect weekend getaway for people living in the ever so fast paced and crowded Mumbai and Pune. While the main attraction has to be the ever so scenic Malshej Falls, the place is an entire package with its wide variety of flora and fauna. A few must visit places include Harishchandragad, Pimpalgaon Joga Dam and Malshej Falls. In case you got some time on your hands, you must visit the Shivneri Fort which is about 40 kilometres from Malshej Ghat. This particular fort is actually the birthplace of the legendary Chhatrapati Shivaji Maharaj, who was an Indian warrior king and part of the infamous Bhonsle Maratha clan. This place literally is a package for all. It offers trekking opportunities for the adventurer, waterfalls for the nature lover and flora and fauna for all. Birdwatchers alert! Don’t forget to catch a glimpse of the exotic flamingos that pay an annual visit from July to September! Bir is a small village located in the Kangra district in the state of Himachal Pradesh. It is one of those peace – seeking quiet destinations that one can go to in order to get away from the stressful city life. 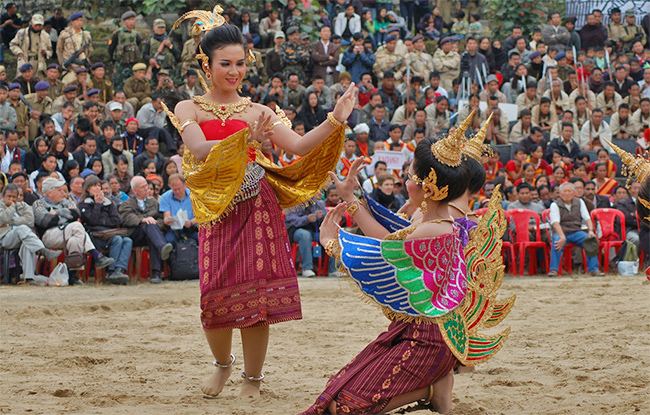 It is popular for its ecotourism, meditation and spiritual studies. However, that is not it. It is also home to the Bir – Billing area which is famous all around the globe for its paragliding. It not only gives paragliding opportunities to tourists, but also hosts various international competitions ad events. So, in case you are a paraglider pilot, you should definitely enter one of the competitions. If all of this isn’t enough to get you excited, this hill station is also home to the Bir Tibetan Colony which is a Tibetan refugee settlement which houses several Tibetan monasteries, a Tibetan handicraft centre, Tibetan Children’s Village school, a Tibetan Medical and Astrological Institute, a medical clinic and a Deer Park Institute. Dalai Lama spent a decent amount of time out here so there is some Buddhist influence to this place which makes it even more peaceful than it was to begin with. 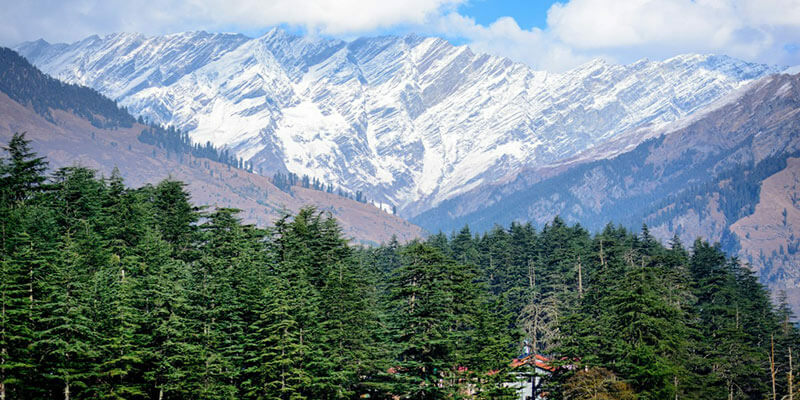 If you have not visited below most popular hill stations in North India then you ought to visit them before you visit any of the offbeat ones. Take a look at these top hill stations in India. This city is situated in the Indian state of Uttarakhand. It is popular among the tourists’ spots as the city is located on a hill. As the city is surrounded by the Himalayas, some of its highest peaks serve the visitors with magnificent views of planes, ridges and snowy peaks of Himalayas. Some of these popular peaks are Naina(China Peak), Deopatha and Ayarpatha. The city is 2084 meters above the sea level has if seen geographically, it has a mango-shaped lake which is quite a famous spot. Due to the South Asian monsoon system, the city happens to be dry in winters and very wet in summers. Nainital is not preferred for tourists during the mentioned months as the city is extremely hot in July and very cold in January. Shimla is the capital city of Indian State Himachal Pradesh. It is a very popular hill station in Himachal. Some people also refer to it as ‘Simla’. It was declared as the summer capital of British India during 1864. The city is of great importance due to its political set up and also for commercial basis. The city also provides as an educational hub and is sound in cultural perspective. The economy of the city depends much on tourism and commercial trade. The famous attractions of the city include Jakhoo Temple, Viceroy Lodge, the Mall Road, and the Ridge. The Kalka-Shimla Railway line is very famous among tourists as it was made exclusively by the Britishers. A trip from this railway line is very divine with full of sceneries to cherish. The line counts in the UNESCO World Heritages. It is a beautiful town located in the Indian state of Himachal Pradesh in the Beas River valley. 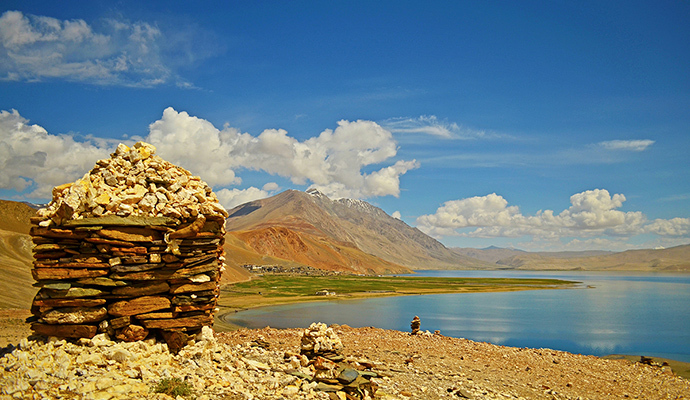 The small town is known to be the beginning of the ancient trade route to Ladakh. Further, the trade went to the Karakoram and then to Yarkand. The place is a tourist spot and has a large number of visitors annually. It happens to be located in Kullu district. Manali is a very cold place and hence faces transportation problems due to heavy snowfall in winters. Because of a good load of tourists, the city has a larger number of hotels and stays, which happens to be a major economic determinant for the inhabitants. The town serves as the gateway to Lahaul, Spiti, and Leh. Another famous hill station is Mussoorie, situated in district Dehradun of the Indian state Uttarakhand. The station is about 35 kilometers away from its state capital Dehradun. Mussoorie belongs to the foothills of Garhwal Himalayan range. The local language of this town is Garhwali. The altitude of this town from the sea level is 6170 feet. Because of the Himalayan snow ranges, the place experiences very cold climate and heavy snowfall. 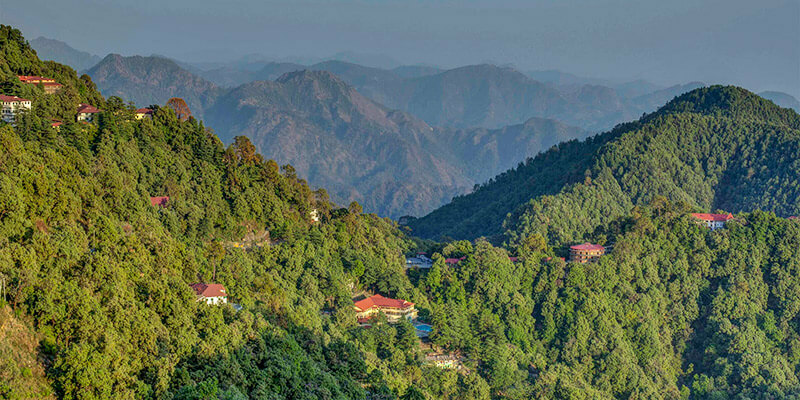 The second name for Mussoorie is ‘The Queen of the Hills’. The town was discovered by Lt. Frederick Young of the East India Company. The Central Tibetan Administration of the 14th Dalai Lama was first established here and then in shifted to Dharamshala. This hill station is situated in the Chamba district of Indian state Himachal Pradesh. It has an altitude of 1970 meters from the sea level. According to the 2011 Population Survey, the population is around seven thousand. The town is named after the British Governor General of India, Earl of Dalhousie who was then, establishing this town as a summer retreat. 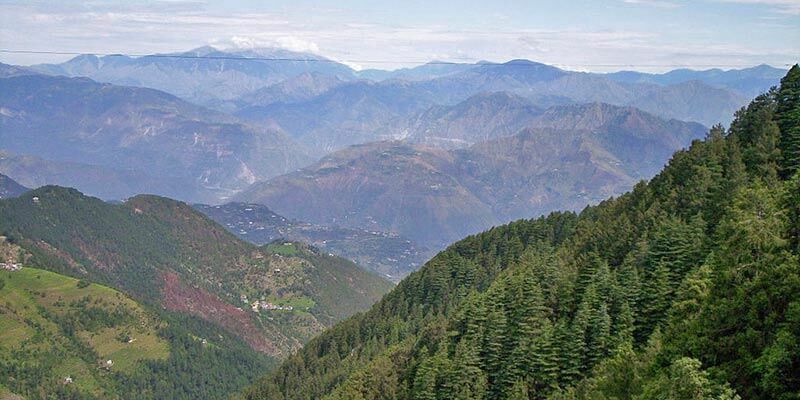 Dalhousie is situated on five hills and is full of naturistic beauty. The climate is of subtropical humidity including frost and snow. There are about 40 to 45 days of frost and 2 to 3 days of frost in this town. The town is influenced by monsoon and hence regular rainfalls in late summers and early springs.